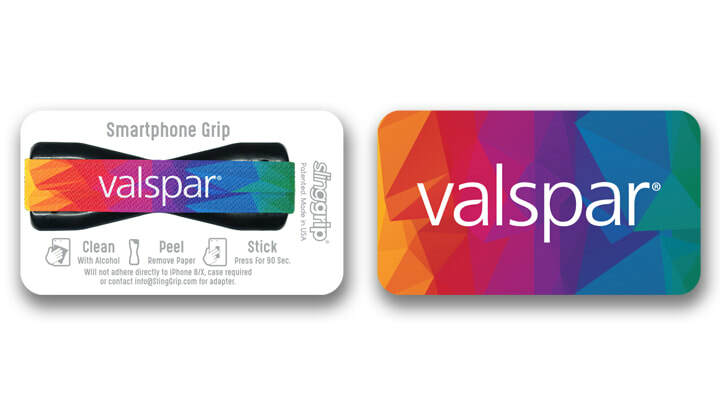 With SlingGrip, you're not only getting a sleek custom phone grip designed with your brand, but every SlingGrip comes on a instruction card (Custom Card Options Available). Now you can replace those flyers that get thrown away with super cool SlingGrip Card! Streamline your marketing materials, drop the clutter, and cut your costs! 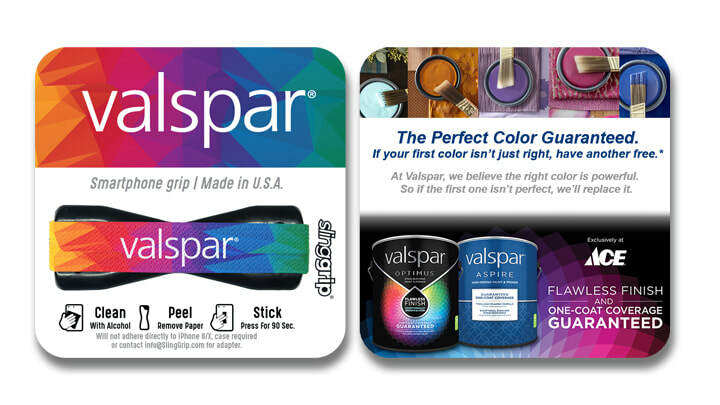 What makes SlingGrip such a GREAT Promotional Product? As marketers, we want to build a huge sales email list to sell to more people. What makes a good Promotional Product? The SlingGrip meets ALL of these attributes! Introducing The SlingGrip: The World's Greatest Promotional Product! ​Your SlingGrip comes affixed on a Standard 2in X 3.5in SlingGrip card. - Easy to carry, Easy to distribute! - Fits easily into your pocket! - Your brand on the SlingGrip! ​Your SlingGrip comes affixed on a Customized business card. - Full Color Custom Design! - Replaces traditional business cards! - Your brand on the SlingGrip AND the card! 3.5in X 3.5in marketing card. - More card space for marketing copy! - Print copy of all 6 panels! - Replaces big, bulky brochures! Talk to Your Distributor TODAY!